Cakewalk Pro Audio is a strange beast, and has been around for along time in different versions. The main thing, is that Twelve Tone Software, who make it started out writing only for the PC, unlike some the others who port their programmes over from Atari or Mac versions. In a way, Cakewalk is a bit more efficient because of this, and when it comes to PC soundcards is far better equipt than say Cubase's GM/XG/GS editor which is crap !! There's a wierd thing with some versions of Cakewalk Pro Audio, that is when you set up a midi loop, (with no audio), so the sequencer plays say bar 1 to bar 5, around an around, there's sometimes a glitch as it goes back to bar 1....! The distributers when asked just said "No it doesn't do that".....end of story, however in the help section, it actually mentions it may do this, but doesn't tell you how to stop it !! !.......The other weird thing is that it doesn't always do it !! Having said that; Version 5 doesn't have this problem, and generally feels and looks more solid, so I'd recommend that version or above. Unlimited audio tracks with Pro Audio, so if you like the programme and you've only got a lo-power PC, you can upgrade as higher end PC's plummet in price and get more tracks. The best setup for GM/XG/GS editing and protocol. A 256 track mixer page to adjust (and record if you like), a volume fader as well as two aux pots that can be assigned to any controller number such as pan or filter. The mixer page also allows you to do snapshot record. A disk management utility, that seperates all unassigned audio at the end of a session, and allows you to audition these parts and then have the choice to discard them. This keeps your H/D free from unwanted audio bitz. Superb controller section where you can choose a controller, and draw in your controller movements with a pencil (brilliant). A software written only for the PC. A good audio section, very easy to work with and edit. Levels of undo. You got to see this ! !.....It's rediculous how far you can go back to change things, even in the audio department, you can change an edit you did, 10 or 20 edits back !! 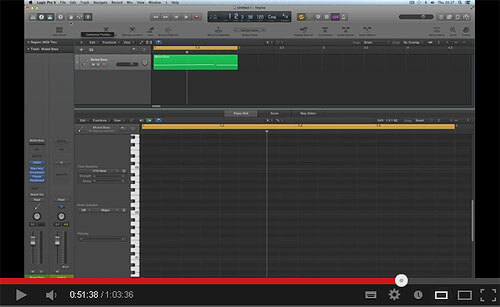 When you work on a drum pattern, you can't view the volumes for each individual drum like you can in Cubase. to do this with Cakewalk, you put a different drum sound on seperate tracks, then while in the edit window flip between tracks with a button. In practice, this works just as well, but it takes a fraction longer, and you can't see the notes relative to other notes visually which is a pain. Generally, with patterns of many small notes, like in a 16th or 32th synth pattern, it's a pain trying to shif the notes around, especially by small amounts. 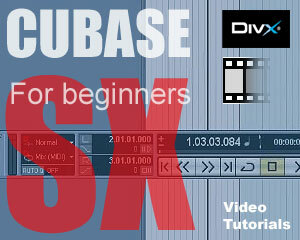 Cubase is better for this. Well there you have it.......The ideal option would be to have Cakewalk Pro, or Pro Audio for it's audio and other facilities, and Cubase for the Drum Editor, and ease of editing clusters of small notes. Having said that, if I had to choose between Cakewalk Pro Audio, Logic and Cubase , it would be Logic or Cakewalk every time. 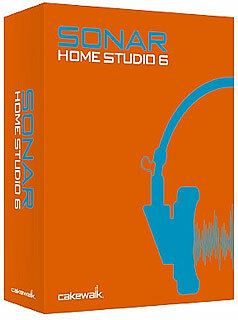 If your budget is tight, start with the Pro or Home Studio version, which will give you 4 audio tracks, and all the audio editing & eq facilities, then upgrade if you need to, to Pro Audio. 4 audio tracks however, should be fine for most dance music needs. With 4 mono, 2 stereo, you can use the audio facility to edit CD or tape compilations, including facilities like X fading tracks, etc. Best Sequencer ever seen :) doh!! of one those cheap sequencers they bundle with soundcards. Sorry. acclaimed program than is available in the user's guide. clip? How closely related do the two clips have to be? it. Can someone please e-mail me some help A.S.A.P. Cakewalk Pro Audio 6 is a great product to work with but I feel that more time is needed between upgrades, for users and creators to understand and get used to this complex piece of software. 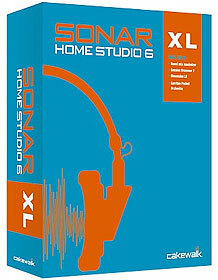 I also hope that all upgrades are backward compatable, unlike Cubase VST 3.5 which now only runs comfortably on a P166. If this should happen I will be very disappointed and will take my custom elswhere because I like many other users can't and won't be upgrading my harware to match current changes. can some one hook me up with the user guide that comes with cakewalk pro audio 6....or tell me where to get it from.....cant get it from cake walk coz i aint registered. I think that Pro Audio works good, although it is a bit difficult to learn everything in the program. But it is perhaps the best sequencer ever made. It would be nice with a good score editer in Pro Audio. 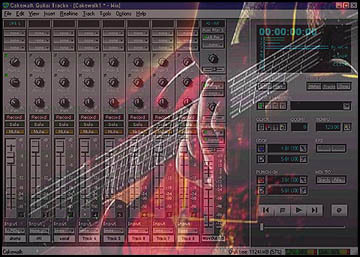 I'm a complete novice at using cakewalk pro audio 6.
however so far I have managed to write a few things and edit a load of songs off the net, which I use for back-up tracks in a Duo that I'm in. I have a soundblaster awe64gold. my question is how do I get different Drum kits? It seems I only have one basic kit, is this correct? 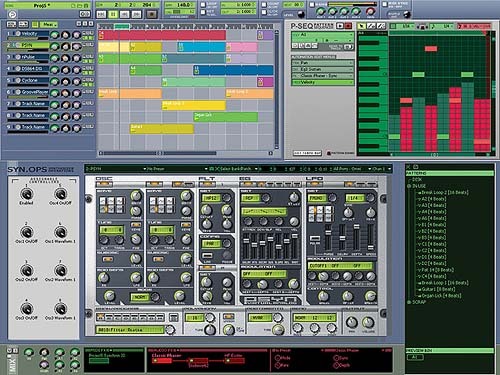 I've been using Cakewalk for the past three years, currently on version-8.04. I agree with Idar, it's a bit difficult to learn how to use all the features but otherwise I like it. on the 'extract timing feature', the most critical thing is to get the settings correct. In version 8, there are 3 settings like detection level, minimum length, find a steady rythm. Lower the detection level to find more beats. Click on audition. Look at the wave file you selected, it will draw an X on every place it finds a beat. Keep adjusting the settings till it looks right. Click OK. The beats will be placed on the clipboard, select a new track and do a paste. This feature does work, it's just hard to get the settings to match the music you want to extract the beat from. the glitch in loop problem..
Well.. I just moved from my old all hardware setup, and am trying to do my sequencing with cakewalk... and I can't find an INS file for my Juno-106 for the life of me. Anyone have any clue how I should set it up... As for features.. cakewalk rocks!! 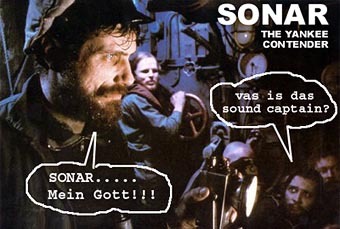 Blows my sequencer outta the water! Cakewalk, having been around the PC platform since DOS, is about 100 times more polished in the way it interacts with drivers than anything else out there. The probability that it will work nicely with your MIDI or audio device is way better than with Cubase or anything else. In fact, it's lousy to use for testing a new driver because the program "knows" everything stupid thing that Windows drivers tend to do wrong, and avoids them. So, if it has the features you need, it's definitely the one to get. PS: Cubase doesn't even use something called "thunking" for its clock which is absolutely needed to correct timing under Windows. Cakewalk is an excellent piece of software. I own Cubase audio lite and Cakewalk pro audio 7 and use the Cakewalk more as I find it is a friendlier environment to work with and as I only use basic sound equipment, it is fully compatible and I can produce some wicked stuff with little expertise. great if they could be almalgmated. overlooked pro,audio midi sync is bombproof and all the stuff about the unreliability of midi just aint there. by the way i produce electro,dance,exp.